Author of The Space Within the Stars, Anne Corlett, gives an insight into her writing process. When it comes to writing, I’m a bit of a nomad. I do have a dedicated desk at a big window in our upstairs hallway, but I tend to spend as much time writing elsewhere as I do in my official work space. There’s a scene in Bridget Jones’ Diary in which Bridget tries to emulate the habits of the late Kathleen Tynan, who, when writing ‘was to be found immaculately dressed, sitting at a small table in the center of the room sipping at a glass of chilled white wine.’ When I first started writing full-time, I was a bit Bridget Jones about it. I had a desk and a giant whiteboard and a neat stack of notebooks, and this was where I would sit and produce vast quantities of profound wordage. It didn’t quite work out that way. There were cups of tea to make (chilled white wine in the middle of the day would have been a very bad idea), internet sites to contemplate, birds to watch, bookshelves to rearrange, the list went on. So I thought I try something else. I decamped to the café above the local bookshop. I thought inspiration might somehow soak up from the books below. It worked for a while, but then I started getting restless again, so I added in an occasional trip to the new café at the top of the hill. Good booths, a small group of writers who met there regularly, but limited vegetarian breakfast options and a bit of a trek up from the car park. Then there was the farm café in the next village, and the coffee shop next to the children’s school. The hammock at the top of the garden. An upended giant beanbag in the corner of the living room. My hanging chair. The kitchen table. My partners’ desk. Even the odd trip back to the north-east, where I’m from originally, to sit on my grandad’s old sea-blanket on the beach. At first, I thought I was searching for the one perfect writing spot. Somewhere I could go every day and produce a nice, consistent volume of writing. It took me a while to figure out that it doesn’t work that way. There’s no one perfect writing place, because there isn’t just one way of writing. There’s frantic first-draft writing. There’s the kind of writing that’s about figuring out the story yourself, rather than telling it to other people. There’s editing. There’s that thing that’s not quite editing and not quite writing. There’s redrafting, reworking, rearranging, deleting in a rage and starting again. There’s This is awesome I am a towering genius and just look how fast I’m typing woohoo type writing, and there’s Plod plod plod this character needs to get from room A to room B and it doesn’t really matter how she does it but somehow I’m stuck in an endless sequence of corridors and doors and staircases and I’ve lost all interest in why she was going to room B in the first place type writing. Sometimes I need the peace and quiet of my desk in an empty house. Sometimes I might need the chair in the living room, and my writing soundtrack playing in the background. Some days I need to be surrounded by people I don’t know. Some days I need to be with other writers, with the option of breaking off to do the whole You know that thing when your main character is remembering something in the past and you need to get back into the present narrative? Why does it always feel clunky? or How many hads do you need in a flashback? thing. The one bit of advice I’d give to aspiring writers is to avoid trying to figure out how you ‘should’ be doing things. Just work out what you need on any given day, and go with it. Even if ‘it’ involves short flurries of inspiration in between bouts of net-surfing and bird-watching, while dangling upside down from the children’s climbing frame. That one’s not great for drinking tea, mind, but you can’t have everything. 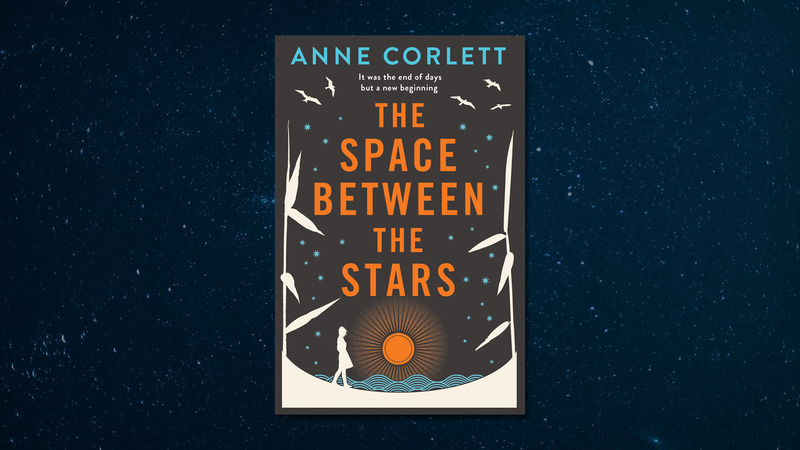 The Space Between the Stars, by Anne Corlett, is published in paperback, ebook and audio download.